Shakespeare’s Stratford acquired its own moral force by the late eighteenth century, as we have seen in William Henry Ireland’s scouting expeditions to Shakespeare’s native and archival fount. 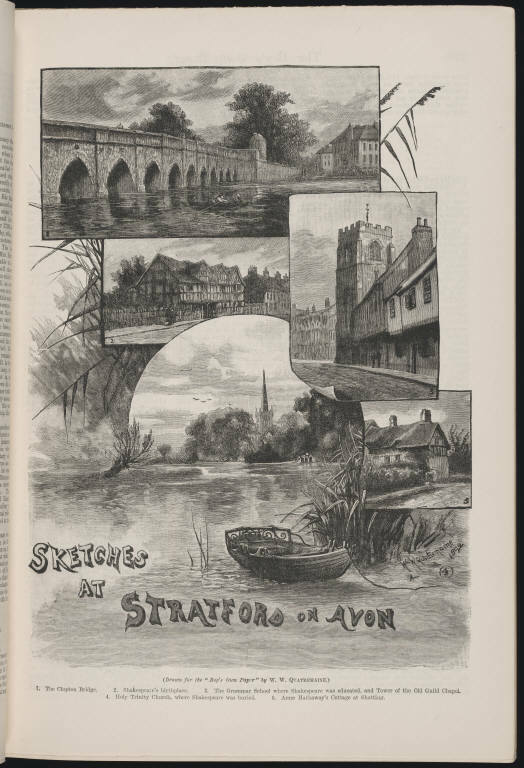 This aura was only to build over the course of the nineteenth century, as Stratford emerged as site of pilgrimage for visitors from Britain, America, and beyond. 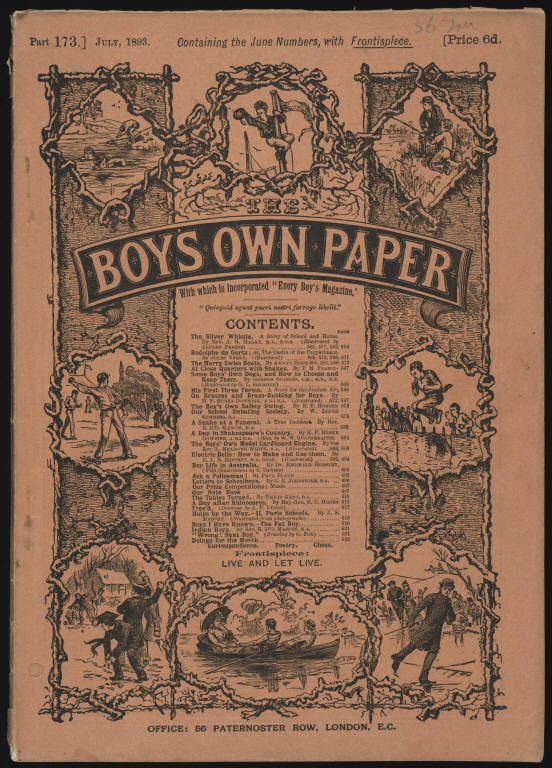 A visit to Shakespeare’s childhood haunts was viewed as edifying, shaping youthful character, as seen in this 1893 edition of the Boys’ Own Paper, touting Stratford as a formative force for Britain’s emergent leaders.